signature required upon receipt unless requested otherwise or posted next to product. 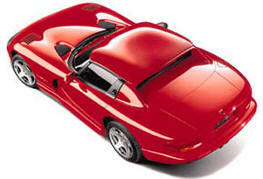 Dodge Viper Products: the normal time to receive these products is one 7 to 10 days. Dodge RAM SRT-10 Truck Products: the normal time to receive these products is 10-14 days. price on the Product Order page. Products delivered by US Mail have to be signed for if they are over $99.99. If it is determined it is lost in the system then you must contact The Viper Store for instructions. that you purchase for us at The Viper Store. (1) Product is returned in new and unused condition. (2) If you receive your product damaged in any way you must contact TVS immediately upon receipt. Under these circumstances you may ship the item back to TVS and we will send you a new one. (3) Purchaser pays for shipping when returning a product for any reason. 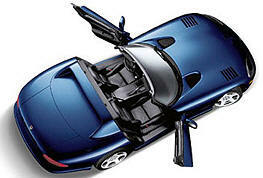 (4) Purchaser is responsible if product is lost in transit upon returning it. (5) The product must be received by TVS within 30 days of date the product was originally shipped to customer. (6) Certain items do not qualify for a refund. These special order, custom items, or otherwise marked on the product purchase price on our site are not returnable or refundable. (7) Some products have a re-stock fee. This applies to any product(s) returned with over $500.00 or value. A 5% more (as indicated on our site) is withheld depending on the product. (8) Original shipping is not Refundable. *Exception: Special Order products and custom products are non-refundable after time of purchase. 1. Returned products must be received in like-new and unused condition. Damaged or used products are not refundable. "same" product from TVS upon receipt of the original product purchased. 3. If you do not receive your product. Simply contact TVS and we will trace your product for you. If the product is lost or damaged in shipping from us we will replace your product. Once you send it, TVS can not be responsible for the product if it is damaged or lost . 6. ABUSE: Although it is our sincere desire to please all of our customers TVS will not tolerate fraud of any kind. concerning your orders or questions. We will ask you if you would like to be notified of TVS sales, new products or to receive TVS coupons.